PST formed when its parent company, Plumas-Sierra Rural Electric Cooperative — an innovative provider of internet and telecommunications services continually striving to meet critical needs in its community — joined the National Rural Telecommunications Cooperative. Both companies are located in Plumas County on the eastern slope of the Sierra Nevada Mountains. Similar to the 1930s when rural Americans lived without electricity, many rural families were without television 50 years later, relying on radio and newsprint as their primary source of information for news, weather forecasts, and entertainment. Plumas-Sierra Telecommunications began offering C-Band satellite TV service to rural customers in underserved communities in 1987. As technology advanced, PST provided DIRECTV satellite television service to local communities from 1994 until 2011 through its partnership with NRTC. 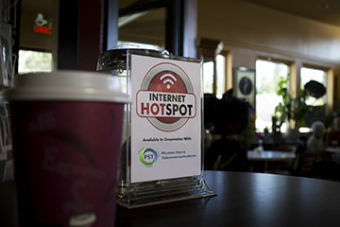 PST launched the first dial-up internet service in the Quincy and Portola area in 1995, and brought high-speed capability to customers in 2003 as broadband became a virtual requirement for internet use. Two years later, again teaming with NRTC, PST delivered broadband satellite internet to customers via WildBlue. 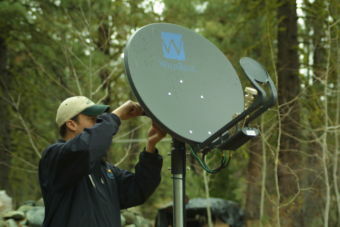 PST installed more than 5,000 customers nationwide in the first year, becoming the nation’s number one provider of WildBlue satellite internet service. In 2007 PST launched an additional high-speed internet service option in local communities called Plumas-Sierra Wireless. Additionally, PST became an Authorized Retailer of Verizon Wireless from 2008 through 2010. 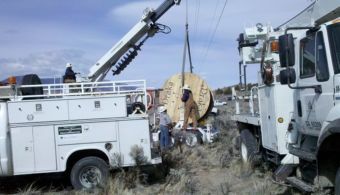 After receiving grants through the American Reinvestment and Recovery Act and the California Advanced Services Fund in July of 2010, PST began construction of a 198-mile fiber optic network from Reno, Nevada north to Susanville, California and west to Quincy, California. The middle-mile fiber optic project is the result of a collaborative effort of partners within the region. PST and the Plumas County Office of Education — with assistance from the Center of Economic Development and California State University Chico — organized broadband deployment meetings throughout the region to discover the need for broadband and gather commitments from anchor institutions. PST began serving anchor institutions—including schools, colleges, libraries, county offices, hospitals, the Herlong Army Depot and other businesses throughout Plumas, Lassen and Sierra counties—in the latter part of 2013 through the fiber optic network, following completion of the construction project. Expansion of the fiber optic network continues in the region as businesses request service. PST’s incremental approach of constructing to businesses enables the company to grow its footprint steadily. The middle-mile fiber optic project serves as the core communications infrastructure for the region and provides the area with a vital, secure link to the outside world. PST continues its commitment to the community through Wi-Fi hotspots. To date, a total of 15 community hotspots have been set up in Quincy, Graeagle, Cromberg, Portola, Loyalton, Herlong and Susanville. See our Community Hotspots map for more details. PST is working with local public sector facilities to deliver broadband and improve current services. PST and Plumas County Sheriff’s Office collaborated to update the PCSO microwave system and provide redundancy for PST’s fiber network. As a result, the Lassen County Sheriff’s Office expressed interest in similar efforts to improve its current system. PST’s improved microwave presence on regional mountain tops and expansion of the fiber network gave the company the opportunity to offer cell-service providers large amounts of bandwidth to improve their networks and coverage areas. As a result, 4G cellular data service is now widely available across the area. PST will continue to develop these partnerships as the business grows.